CADMIUM, LEAD & NICKEL FREE!! Exclusively Ours! Cadmium, Lead & Nickel Free!! 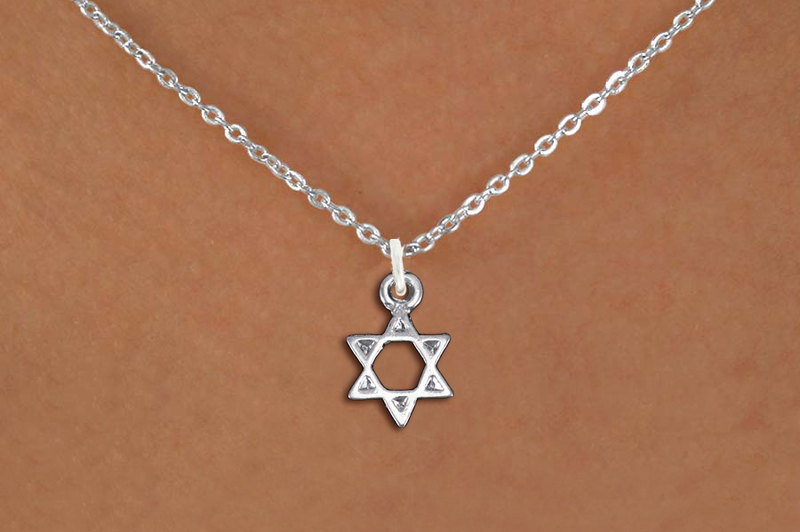 Small, Beautiful Silver Tone Star Of David Charm Comes On A Necklace Style Of Your Choice: Ball Chain, Regular Chain, Snake Chain, Toggle Chain, Or Black Suede Leatherette. Click On Picture To Enlarge. Then Click On Picture Again To Get To The Size Of Your Screen! 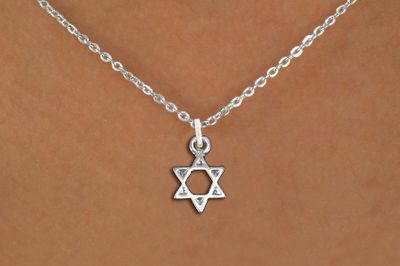 Charm Measures: 5/8"h x 1/2"w.